1Headline: In addition to statutory reporting, the Group reports its continuing operations on a headline basis. Definitions of headline metrics, and information about the adjustments to statutory measures are provided in note 3 to the financial statements. 2 H1 2018 restated for IFRS 15. 3 Underlying modifies headline performance to: adjust prior year to reflect an equivalent period of ownership for divested businesses; and exclude the effects of foreign exchange, acquisitions and supplemental sales for divested businesses. Underlying revenue up 2% to £1,573m; up 3% excluding Smiths Medical. Reported revenue up 2% driven by good growth in John Crane, Flex-Tek and Smiths Interconnect. Underlying headline operating profit down (2)%; up 2% excluding Smiths Medical. Reported headline operating profit down (1)%, with favourable foreign exchange translation. The difference between headline and statutory operating are non-headline items as defined in note 3 to the accounts, of which the largest constituent is the Guaranteed Minimum Pensions (‘GMP’) equalisation. Continued strong balance sheet, net debt to EBITDA 1.5x. Cash conversion of 74%, temporarily impacted by inventory build for orders due for delivery in H2. Cash conversion is expected to be much stronger for the year overall. 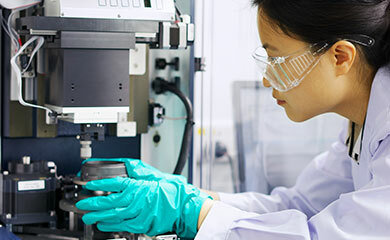 Continued investment for sustainable growth with cash R&D at 5.1% of sales (H1 2018: 4.6%). Flex-Tek’s acquisition of United Flexible for $345m completed in February 2019. Sold two non-core Smiths Medical businesses for a combined consideration of c.£30m. Plans announced for the separation of Smiths Medical, to create two stronger, industry-leading companies. Statutory reporting takes account of all items excluded from headline performance. On a statutory basis, pre-tax profit from continuing operations was £174m (H1 2018: £200m) and continuing basic earnings per share were 30.3p (H1 2018: 26.3p). See accounting policies for an explanation of the presentation of results and note 3 to the financial statements for an analysis of non-headline items. The presentation slides and a live webcast of the analyst presentation will be available at https://smiths.com/investors/results-reports-and-presentations at 09.00 (UK time) today. A recording of the webcast will be made available from 13.00 (UK time). 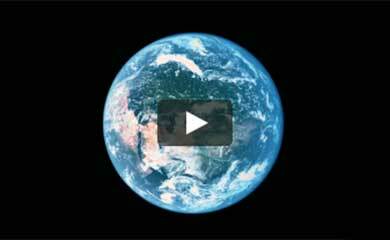 This document contains certain statements that are forward-looking statements. 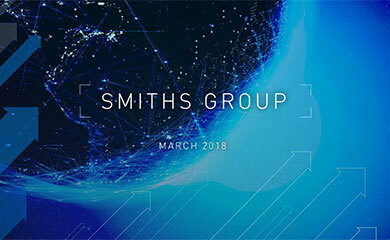 They appear in a number of places throughout this document and include statements regarding the intentions, beliefs and/or current expectations of Smiths Group plc (the “Company”) and its subsidiaries (together, the “Group”) and those of their respective officers, directors and employees concerning, amongst other things, the results of operations, financial condition, liquidity, prospects, growth, strategies and the businesses operated by the Group. By their nature, these statements involve uncertainty since future events and circumstances can cause results and developments to differ materially from those anticipated. The forward-looking statements reflect knowledge and information available at the date of preparation of this document and, unless otherwise required by applicable law, the Company undertakes no obligation to update or revise these forward-looking statements. Nothing in this document should be construed as a profit forecast. The Company and its directors accept no liability to third parties. This document contains brands that are trademarks and are registered and/or otherwise protected in accordance with applicable law.